This entry was posted in Bachelorette Decorations, Bachelorette Games, Bachelorette Party, Bachelorette Party Accessories, Bachelorette Party Planning, Bachelorette Party Supplies, Party Planning on June 5, 2018 by Tiffany Freitag. Summer is here…YAY! Break out the sandals and swimsuits. Having a poolside bachelorette party is a summertime staple. Whether you lounge poolside all day before hitting the town, or party by the pool well past sunset, we have all the decorations and party supplies you need to make it a soirée to remember! Read on for 5 bachelorette poolside party supplies you don’t want to go without. This entry was posted in Bachelorette Decorations, Bachelorette Party, Bachelorette Party Gifts, Bachelorette Party Planning, Bachelorette Party Supplies, Bachelorette Party Themes, Party Planning on May 25, 2018 by Tiffany Freitag. When planning a bachelorette party, you might assume that anything goes. But that isn’t always the case. So if you’re in charge of planning the Bride-to-be’s last fling before the ring, make sure to read on for this important bachelorette party Do (this) and Don’t (do that)! This entry was posted in Bachelorette Party, Bachelorette Party Planning, Bachelorette Party Themes, Destination Bachelorette Party on March 16, 2018 by Tiffany Freitag. We love Spring! The weather starts getting better, the colors start coming back to life, and parties start happening more often…what’s not to love?! 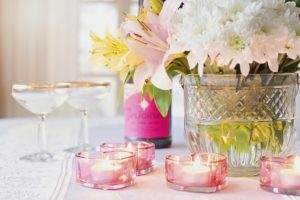 To celebrate the new season, here are our top Bachelorette Party ideas for March. This entry was posted in Bachelorette Cocktail Supplies, Bachelorette Decorations, Bachelorette favors, Bachelorette Games, Bachelorette Party, Bachelorette Party Favors, bachelorette party games, Bachelorette Party Planning, Bachelorette Party Supplies, New & Exciting on March 5, 2018 by Tiffany Freitag. Winter might seem cold and dreary, but with these 3 Winter Bachelorette Party Ideas, it can be the most magical time of year! This entry was posted in Bachelorette Decorations, Bachelorette Party, Bachelorette Party Accessories, Bachelorette Party Planning, Bachelorette Party Themes, Party Planning on January 8, 2018 by Tiffany Freitag. Bachelorette parties get a lot of attention, but Bridal Showers are an important rite as well. And many times, they two can overlap. If you’re attending or organizing either or both this year, then look no further! Our *New* Always and Forever Bridal Shower products are perfect. This new line coordinates with other Bachelorette Party and solid color items to create the most fabulous experience for the Bride-to-Be. This entry was posted in Bachelorette Party Planning on November 9, 2017 by Tiffany Freitag. Summer may be ending, but the fun doesn’t have to! FALL can bring warm, inviting, and unique party styles. 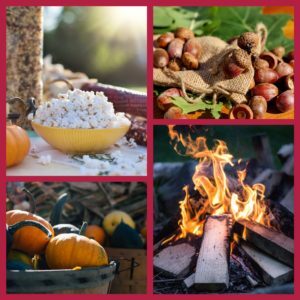 Keep reading for 5 Fall Party Ideas….plus several BONUS treats. This entry was posted in Bachelorette Party Planning on September 22, 2017 by Tiffany Freitag. Though our name favors a Bride’s last night out, we don’t think girls should have all the fun! The Bachelor Party is just as important and the Groom should be celebrated too!! This entry was posted in Bachelorette Party Planning on August 8, 2017 by Tiffany Freitag. In the heat of Summer, what better way to stay cool and pamper the Bride, than a party at the Beach! Whether the beach is in your town (call me jealous!) or a plane ride away, it’s easy to make it a memorable bachelorette party! So grab your shades and towels, and get ready for a Bachelorette Party – Beach Style! 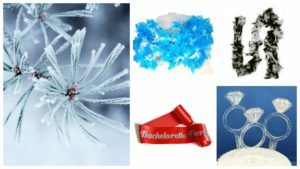 This entry was posted in Bachelorette Decorations, Bachelorette favors, Bachelorette Games, Bachelorette Gifts, Bachelorette Party, Bachelorette Party Accessories, Bachelorette Party Favors, bachelorette party games, Bachelorette Party Gifts, Bachelorette Party Outfits, Bachelorette Party Planning, Bachelorette Party Supplies, Bachelorette Party Themes, Destination Bachelorette Party, Party Planning on July 26, 2017 by Tiffany Freitag. Summer is heating up! With the HOT temps, a pool party is a great way to beat the heat. But how do you transform an average pool party and make a bachelorette style splash? Keep reading for the Top 5 Must Have products and Beat the Heat with a Bachelorette Pool Party! This entry was posted in Bachelorette Decorations, Bachelorette Party, Bachelorette Party Accessories, bachelorette party games, Bachelorette Party Planning, Bachelorette Party Supplies, Bachelorette Party Themes, Party Planning on July 14, 2017 by Tiffany Freitag.